A practical problem with laparoscopic surgeries is to remove large tumours/other tissue from the small surgical incisions. For this we use an instrument known as a morcellator which takes out large tissues in small bites. The GYNECARE X-TRACT Tissue Morcellator quickly and effectively extracts large volumes of tissue, allowing surgeons to employ a minimally invasive approach that can help reduce operating time. The GYNECARE X-TRACT Tissue Morcellator provides a unique tissue stabilizing sheath so that surgeons can effectively remove tissue with few instrument passes and minimal hand fatigue. The GYNECARE X-TRACT Tissue Morcellator quickly and effectively extracts large volumes of tissue, allowing surgeons to employ a minimally invasive approach that can help reduce operating time. The GYNECARE X-TRACT Tissue Morcellator provides a unique tissue stabilizing sheath so that surgeons can effectively remove tissue with few instrument passes and minimal hand fatigue. 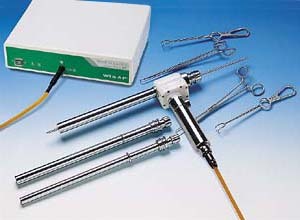 The cost of the disposable hand pieces is high and is the only disadvantage of this equipment. 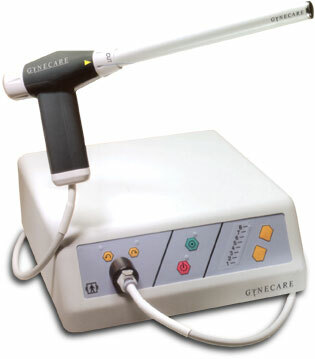 Gynecare X-Tract is a product of Ethicon Endosurgery, a subsidiary company of Johnson & Johnson Pvt Ltd.